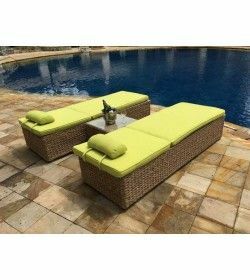 Rattan daybeds are a luxury, fantastic retreat to relax in the shade, read a book, We have several different designs over the last few years but this one has been the general idea of the rattan daybed is to create a lounging environment that can seat more than one person rather then the more traditional sun lounger. 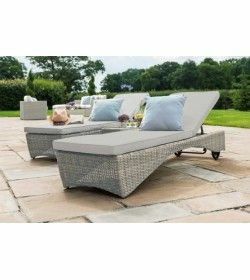 Rattan daybeds are great for chilling out in the summer sun. Most of our daybeds have canopies so if you are not a fan of the sun you can hide away in the shade. 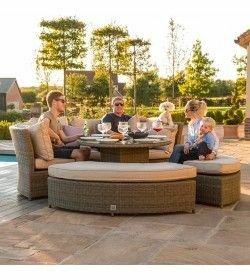 Another option is that you can add one of our Cantilever parasols to the daybed to create your own shady spot away from the midday sun. 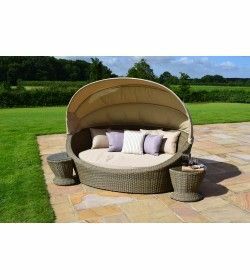 Rattan daybeds & Sun loungers There are 20 products. 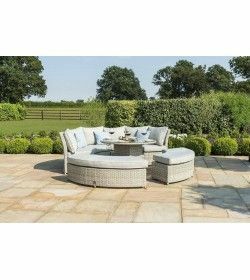 The elegant and finely crafted Maze Rattan Swivel Pod Chair will be right at home in your garden or conservatory. 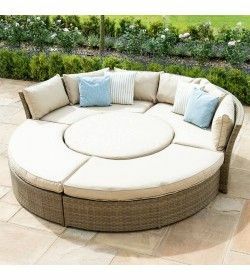 With the stylish curved design and comfortable cushions you won’t want to do anything but curl up in this chair and enjoy a cup of cava in the sun. Stylish and unique, the Maze Rattan Malibu Hanging Chair will make a lovely statement in your garden and provide you with a relaxing place to rest outdoors.